People typically try to prepare good answers to common interview questions, thinking about WHAT they will say on a big day. While it is important to think about this issue, and you can’t prepare for any question without thinking about a good answer upfront, there is something else you should do to prepare for the meeting with the employers. HOW you answer the question matter. Once you understand the emotions and attitudes you should present in a job interview, you will know how to answer the questions, and the right words may often come to your mouth without a need to think about them for a long time. In this short post we will look at the attitudes and emotions that will help you to win your interviewers over. Let’s start! 1. Answer their questions with enthusiasm in your voice. Interviewers should feel your enthusiasm, they should feel that you have been waiting for the interview with them, that you have eagerly anticipated the big day, and this moment of your life. Today is a big day, and you are happy to interview for a job with them. That is the feeling they should get while interviewing you for a job, and enthusiasm in your voice will help you to evoke such feelings on their side. 2. Simple is the best. Some people try to impress the interviewers with long compounds and various technical expressions, words the interviewers may not even understand (or at least they need to strain their mental capacities to understand them). This is definitely not a way to go, unless you want to jeopardize your chances to succeed. If the hiring managers do not understand you, they will lose their focus, they will not feel good with you in an interview, and they will send you home. Without a new job contract. Speak in a simple way. Use short sentences. Talk to the point. Keep their attention. Show them that you have nothing to hide, and that your future colleagues will understand you–even if you apply for a technical position. 3. Think about the company, not only about you. Try to think about each question in the following way: How can I answer it to show them the value I can bring to their team? How can I answer the question to relate to their goals, dreams, and visions, in my words? Talk also about them, not only about you. 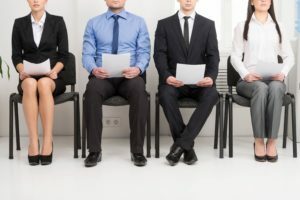 If you manage to master this interview technique (which is an advanced one and not everyone will succeed in mastering it), you will find it quite easy to ace an interview. * Check also: How to dress for your interview – Four rules to consider when choosing clothes to wear. 4. Answer the questions honestly. The truth has one advantage–you do not have to remember what you have said before. Although the temptation to lie is strong in the interviews, try your best to avoid talking lies. Recruiters love honest job candidates. What is more, an experienced and skilled interviewer can easily spot a lie. Scientists say that our verbal communication is just 15% of the message we send over. Eighty five percent is nonverbal communication–the way we look, talk, shake hands, sit on a chair, etc. Mastering the interviews starts with mastering your own mind. Get ready to succeed, show enthusiasm, and have their success and goals on your mind, always. If you manage to do that, and come up with at least some decent interview answers, they will hire you for the job. Interview success package – Once you know how to say it in an interview, it is good to know what you should say. Brilliant answers to thirty common interview questions will make it easy for you. Salary negotiation tips – Learn how to negotiate a better salary in an interview, and get what you deserve.